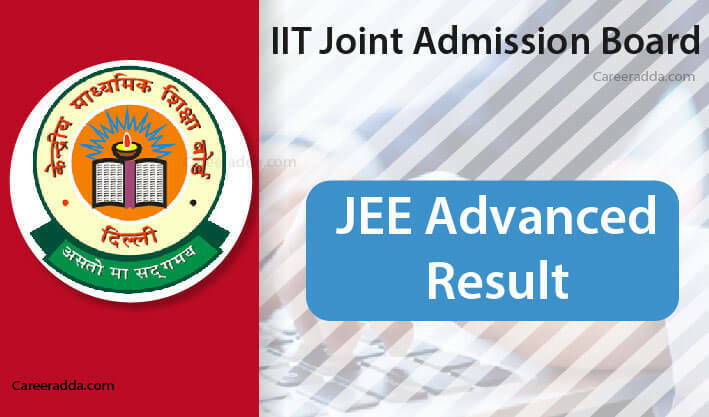 Check JEE Advanced Result 2019 Date : JEE Advanced 2019 results will be announced in the month of June 2019. Candidates who appear in the JEE Advanced exam will be able to check their result through the online portal www.jeeadv.ac.in. As per JEE Advanced 2019 information brochure, results will be announced in the form of category-wise All India Ranks (AIR). Once results are declared, candidates will have to use their JEE Advanced 2019 registration number and date of birth to check their rank. To inform candidates about results of JEE Advanced 2019, organizing authorities will send text messages to them to their registered mobile number. But organizing institute will not send individual rank cards to candidates. After conducting JEE Advanced 2019, organizing institute will mail the responses to the candidates recorded by them during the exam. Recorded responses will be mailed to candidates’ registered email id’s only. The date when candidates will receive their recorded responses is May 25, 2019. Later, by May 29, 2019, JEE Advanced organizing authorities will display answer keys online at www.jeeadv.ac.in. From May 29 to 30, 2019, candidates can submit their feedback on answer keys by using ‘Candidate Portal’. Note – CRL is the rank list in which all candidates (across all categories) will be given ranks. How To Check JEE Advanced 2019 Results? Candidates can check their JEE Advanced 2019 results after receiving a text message from organizing institute i.e. IIT Roorkee. Following are the procedures through which a candidate can check his / her JEE Advanced Result 2019. For taking admissions of candidates into the IITs and other affiliated institutes, JEE Advanced 2019 counselling will be organized and conducted by Joint Admission Board (JAB) along with organizing institute (IIT Roorkee). On the basis of category-wise All India Ranks (AIR), candidates will be allotted with a college and branch. 1.When I’ll Be Able To Check JEE Advanced 2019 Answer Key? A. On May 29, 2019, JEE Advanced 2019 answer keys will be available online at www.jeeadv.ac.in. 2. How Can I Check My JEE Advanced Result? A. The entire procedure to check JEE Advanced 2019 result is given above.